As a job seeker, your CV is the ultimate weapon with which you target and get recruiters interested in your skills. In a competitive job market as ours, recruiters have a chunk of CVs to go through and sometimes before recruiters even get to see your CV it would have passed through the Applicant Tracking System (ATS) most companies use these days. Even when recruiters come in contact with your CV they’ll likely not want to waste time on a CV that does not clearly present to them what they desire to see. In such a situation there’s a high tendency your CV will not be read completely; instead it will be tossed aside alongside that of other candidates. So what are those secrets and tips that excellent candidates use to get their CVs noticed by top recruiters? One secret that excellent candidates have used in making their CV stand out over time is the use of professional terminology that aligns with the position that the recruiter desires to fill. Understand that you are not writing your CV for yourself but for the recruiter, hence you must utilize those terminologies that the recruiter will be looking out for base on the role you are applying for, especially terms that directly mirrors the job description provided by the recruiter. In certain circumstances employers can reach out to potential candidates on LinkedIn whose profile highlights the kind of skills that they are looking for. In such a situation, it is expected that your CV aligns with your LinkedIn profile. Excellent candidates understand the importance of maintaining consistency on their LinkedIn profile and CV; because it shows recruiters that you are not only a suitable candidate for the position but also a reliable one. It’s important you use keywords in your CV especially when it’s going to be vetted by an Applicant Tracking System (ATS). Read through the job description carefully in order to identify those keywords that are emphasized by the recruiter. By highlighting these keywords in your CV you are not just structuring your CV to suit the job but your also making it easy for your CV to be identified and shortlisted by the Applicant Tracking System (ATS). 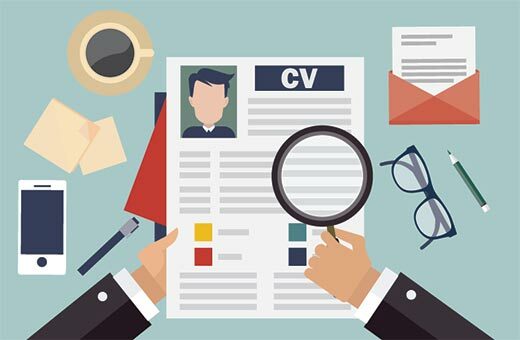 The secret to having a good CV that attracts employers and also beats Applicant Tracking System is specifically highlighting and presenting objective and precise skills and accomplishments that are relevant to the job role that you are applying for. Your CV should carry highly specific and relevant achievements and the skills that enabled you arrive at your current position. A lot of candidates out of zeal to impress recruiters go overboard with the interface presentation of their CV. Contrary to what you think, the primary concern of the recruiter is your skills and experience as they relate to the position he or she intends to fill; hence it’s important to use the standard fonts such as Arial, Times New Roman etc. Avoid the use of any unnecessary graphics, tables or any special characters. As a candidate that wants to succeed in their job search, it’s important you take note of these tips and apply them when constructing your CV in order to increase your chances of landing that interview.